An 18ct yellow gold ruby and diamond ring. 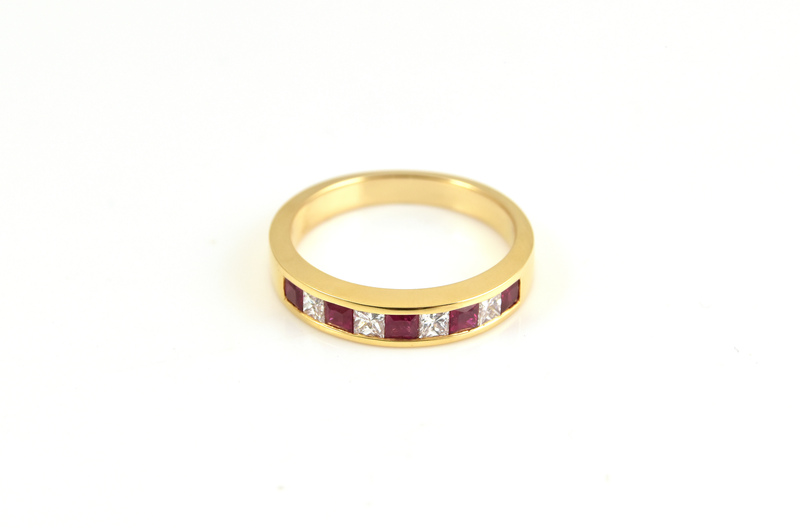 Channel set with four rubies and five diamonds, all princess cut. Looking for ruby jewellery? View our collection here.